Fantasea Cruising is one of Australia's leading marine tourism and transport operators and have been cruising within Australia for almost 30 years. They love what they do and they love Sydney Harbour. They give people memories, the difference between ordinary day routines and striking lines through the bucket list. Every year, half a million guests from across Australia and around the world travel with their fun, experienced team to some of Australia's most visited icons. So join the award winning Fantasea Cruising on a grand adventure to see the spectacular sights around Sydney. 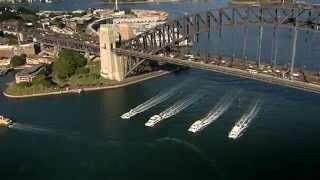 Fantasea Cruising operates Sydney Harbour Cruise, Whale Watching, Private Charters, Yellow Water Taxis, New Years Eve Cruises, Vivid Cruises, Australia Day Cruises, Boxing Day Cruises and much more.